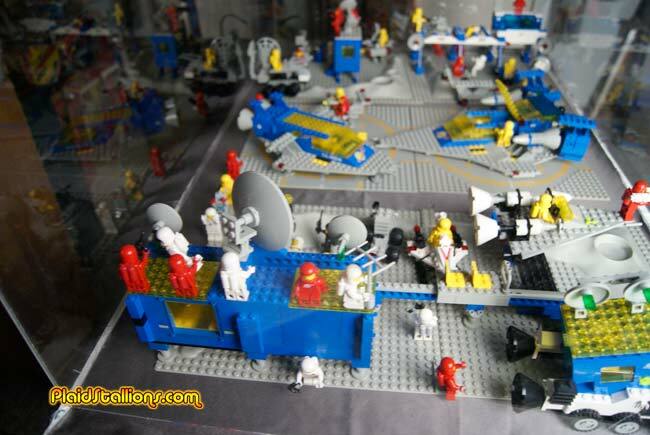 Plaid Stallions : Rambling and Reflections on '70s pop culture: Space Lego Love! 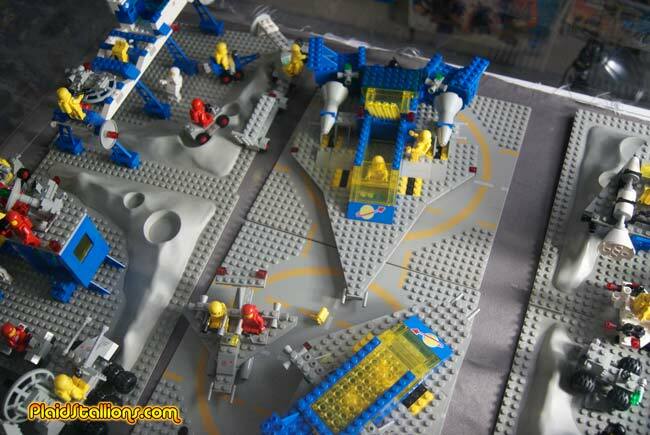 True Confession time: As much as I go on and on about vintage Space Lego sets, I a) never had any as a kid (save for one small set I bought with my own money) and b) don't have any now. However, I am luckily married to a Space Lego collector and with the help of my daughter, I now have this scene to look at every day while I work on this blog. I honestly remember going to the house of the biggest wiener on my block just to play with that ship pictured above. He was a year my junior and often slapped my fingers if i played too rough with it. I took this abuse, mostly because of the Lego and that even at nine, I knew life was going to be hard for him. 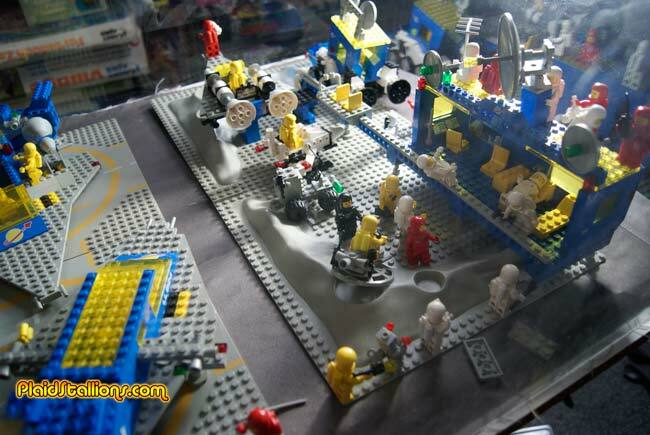 What I love about these sets is the spacemen are just so happy with their toils, everybody is smiling! but I want to see the full size images so I can see the details better! Awesome! The first space sets. I have a quite a few of those still built myself. Seconding the first comment. May I suggest a "guest blog entry" from your wife with a ton of pics? I'm overwhelmed just looking at that display. 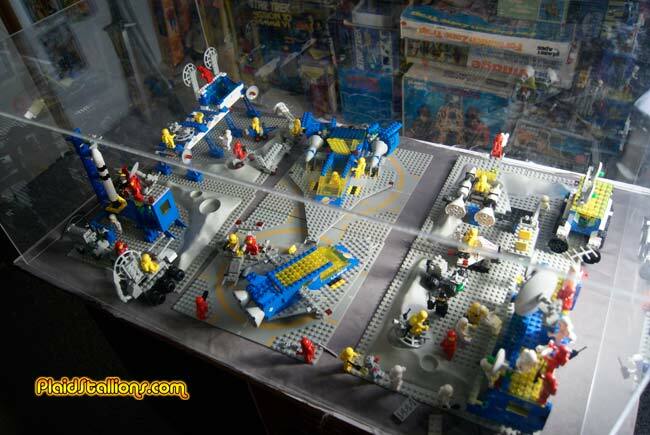 It's literally EVERY classic blue space set and... under glass, no less. You live in a private Lego museum! Whether it was intentional or not, I love the way you slipped in that reference to the castle set. For those of us growing up with classic lego, there isn't any dobut which "castle" set you mean. Oh yeah, the holy of holies, the big yellow one. On a side note, thanks for giving your regular blog readers a small, but highly relevant glimpse into your family. I doubt I'm the first one to wonder why your wife humors your intense love of collecting toys. The answer is obvious now: she has one of her own! I had the set with the radar dishes! 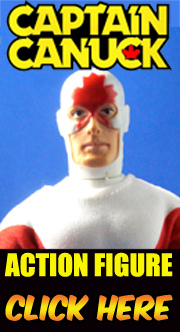 I love how you keep bringing up toys I forgot I owned! THANK YOU! I have all of these sets, and a few more. Unfortunately, I started to put them together when my older son was about 5, and he couldn't touch them without destroying them. So I put them up. And then had another son. Now HE'S 5, and I'm thinking about putting them together again. In the mean time, we've collected about 100 lbs of Lego, including lots of Star Wars kits I would have KILLED for as a child. Of course, they're all in bins, because it's impossible to find the pieces you need when you have so much. I despair that we'll ever get anything put back together again, and often think about just selling it all. The entire Classic Space line, redone in micro scale. It's pretty spiffy!